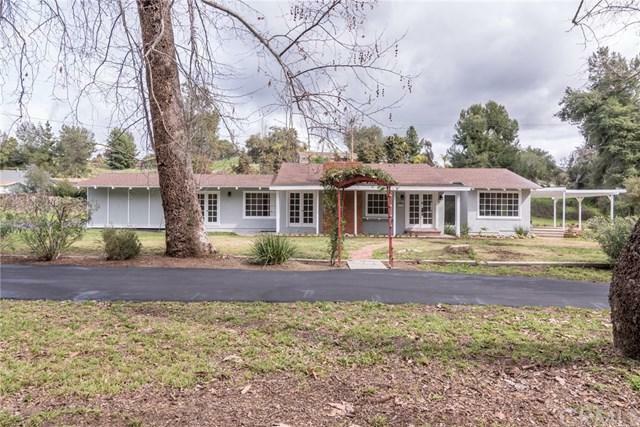 1816 Gird Road, Fallbrook, CA 92028 (#300811704) :: Ascent Real Estate, Inc. 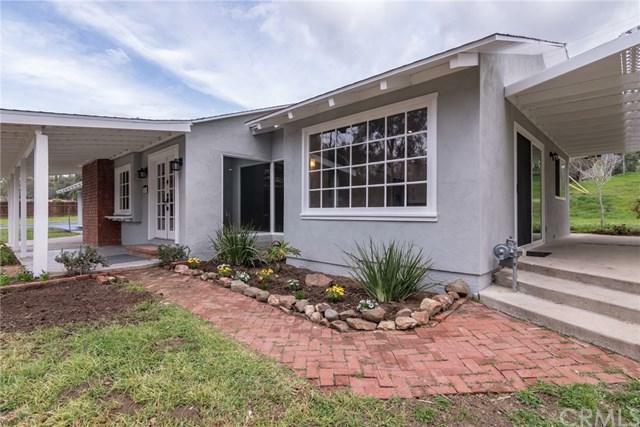 Beautifully Remodeled Ranch-Style home in Fallbrook on over an Acre of mostly flat land with a well! This home features 3 bedrooms and 2 bathrooms with lots of natural light and a great layout. The kitchen has been completely transformed with brand new cabinets & granite, stainless steel appliances including a double oven, large island for all your cooking/prepping/serving needs with low voltage lighting above & below the cabinets for a great ambiance. 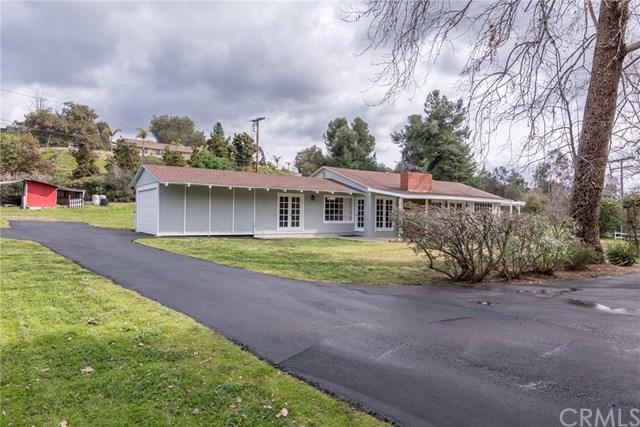 Both bathrooms were also entirely remodeled with new Beautifully Remodeled Ranch-Style home in Fallbrook on over an Acre of mostly flat land with a well! This home features 3 bedrooms and 2 bathrooms with lots of natural light and a great layout. The kitchen has been completely transformed with brand new cabinets & granite, stainless steel appliances including a double oven, large island for all your cooking/prepping/serving needs with low voltage lighting above & below the cabinets for a great ambiance. Both bathrooms were also entirely remodeled with new cabinets, counter tops, sinks, fixtures, toilets and the master shower has a fantastic walk-in design. 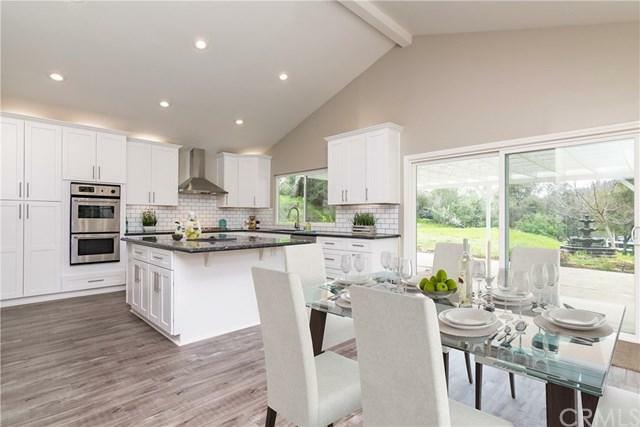 All new laminate wood-like flooring throughout the entire home, new beautiful paint, new lighting fixtures and so much more you just have to see. Gather your friends and family around the gorgeous and chic gas-burning fireplace with fire glass...very elegant! Outside let your imagination run wild as you'll find lots of mature trees, open space with so much potential as well as a large entertainer's covered patio area for socializing and relaxing. There's also a hobby/workshop/she-shed behind the home as well as a tack-room that once serviced horses that used to live on the property. Need parking space for your RV, boat or other toys? This home has it! The recently resurfaced asphalt driveway is long enough to pull a fifth wheel onto and then some! Plus there's even a half circle driveway so the property has two driveway entrances. Welcome Home!